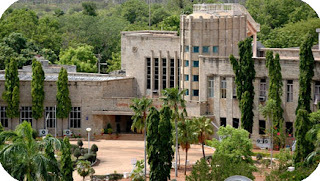 In his address on the occasion of laying the foundation stone of the institute, Pandit Nehru said, “ … I believe that by such undertakings and by yoking science to public good we can advance the lot of the people of India enormously.” In translating those words into action, CECRI has blossomed into a launching pad for a multitude of technologies for the Indian electrochemical industry. Naturally, reflecting on the fact that the inimitable Dr. Alagappa Chettiar donated 300 acres of land and Rs. 15 lakh in cash in 1948 to establish a national laboratory devoted solely to Electrochemistry at a time when Electrochemistry was relegated to the flip-side of Physical Chemistry syllabi in universities, one cannot miss the rare philanthropy and foresightedness of this great visionary. In living up to its raison d'etre, the institute works on a gamut of problems covering all facets of electrochemical science and technology: Corrosion Science and Engineering, Electrochemical Materials Science, Functional Materials and Nanoscale Electrochemistry, Electrochemical Power Sources, Electrochemical Pollution Control, Electrochemicals, Electrodics and Electrocatalysis, Electrometallurgy, Industrial Metal Finishing, and Computer Networking and Instrumentation. The institute provides a single and unique canopy under which all aspects of electrochemistry and related areas are researched in their dimensions. CECRI’s activities are directed towards development of new and improved products and processes as well as novel innovations in electrochemical science and technology. CECRI runs several projects in collaboration with laboratories from within and outside India. In the year 2004, CECRI was selected as one of the nodal laboratories for R&D on hydrogen-based fuel cells under the New Millennium Indian Technology Leadership Initiative. Such a R&D program is seminal for the country since hydrogen has come to be seen as the ultimate fuel for the future. In a short span of two years, CECRI has developed and demonstrated self-sustainable polymer electrolyte fuel cell stacks for portable power applications, clearly establishing its capability to fructify a concept into the product. Based on this noteworthy contribution, prestigious clean energy projects for cutting-edge R&D on hydrogen-based fuel cells and next-generation lithium batteries have been awarded to CECRI during the eleventh five year plan. CECRI assists the Indian industry by conducting surveys and undertaking consultancy projects. The institute also conducts short-term refresher courses for the benefit of the industry and academia. As part of its human resource development programme, CECRI runs Anna University’s B Tech and M Tech courses in Chemical & Electrochemical Engineering. Researchers from this part of the country make good use of the excellent library as well as the state-of-the-art analytical and characterization facilities at the institute. CECRI also organizes national and international conferences for dissemination of scientific knowledge. CECRI is alive to societal obligations and participates in such activities as entrepreneur development and CSIR’s youth development programme. CECRI is recipient of several technology awards for its telling service to Indian industry. To say that the Central Electrochemical Research Institute is the mainstay of electrochemical industry in India is to state the obvious.